June 12 - 16, 2017 from 9:00 AM until 11:30 AM. June 11, 2017 at 5:30 PM - 7:00 PM at a Carnival filled with games, food, face painting, and lots more fun. Hope to see you there. 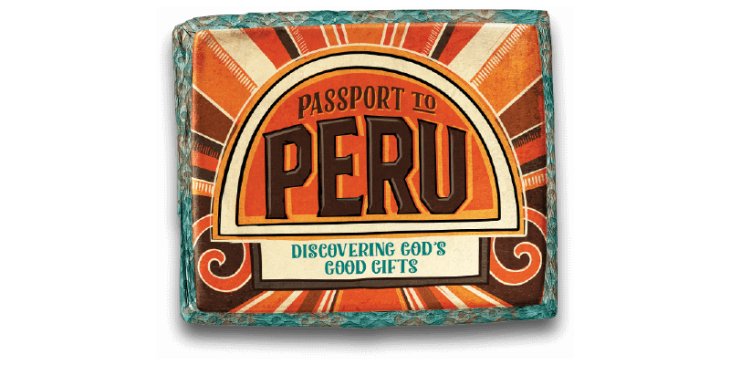 Passport to Peru is a Bible-based, faith igniting program your kids will love. Children will hear about God's love, see it touch it, sing it, and put it into action -- every day. Kids will learn that God gives us comfort, God gives us patience, God gives us peace, God gives us love, and God gives us joy! We are excited and are getting ready. Please pray for us and if you feel lead to help, please lets us know and we will give you a job. Please check the bulletin each week, as we share with you things needed to make VBS more successful. For more information, call the church office (618) 985-2574.